Laser engraved shot glasses, tasting glasses and pint glasses are the perfect addition to any brewery, distillery, or tap room. Instead of using the Rotary Attachment in this project, we opted for the 4-inch lens, which allowed us to engrave an entire table of glasses, instead of one at a time. 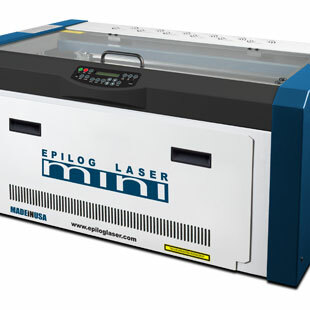 Epilog Laser Live ~ Colorado, May 10-12! Join us in Pittsburgh, where our distributors from Class Act Engraving are hosting demos and laser Q+A sessions during Discovery Days! Learn more..
Video Demo - Epilog's new G2! Epilog's Bob Henry walks you through the features and benefits of the new G2 Galvo system, as well as common applications on today's popular metals!